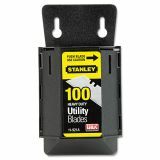 Stanley Wall Mount Utility Knife Blade Dispenser w/Blades, 100/Pack - Wall dispenser doles out 100 utility knife blades one at time. 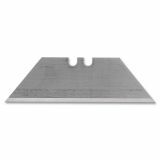 Strong blade edge delivers clean, consistent cutting for tasks. 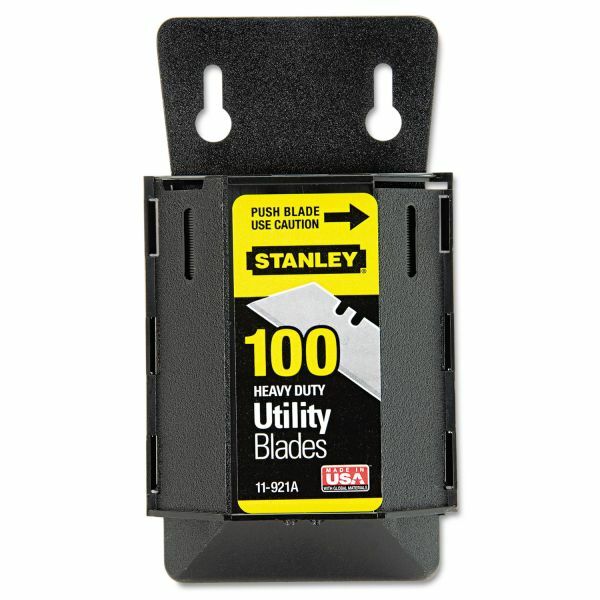 Blades come in a convenient dispenser for safe, easy storage. 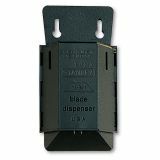 Dispenser is also wall-mountable for easier communal access. 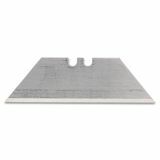 Heavy-duty, long-lasting knife blades are compatible with most standard utility knives, including Stanley 6-1/2 InstantChange Retractable Knife; Quick-Change Retractable Utility Knife; Classic99 Retractable Utility Knife; and Lightweight Retractable Utility Knife."